A Safer Way to Celebrate! The Hickory High School After Prom Committee and the Senior Class of 2019 are asking for your support in making this year’s After Prom celebration a great success. After Prom was designed to give students a safe, fun filled, drug, and alcohol free evening following their senior prom. Throughout the night, students will enjoy many different types of food, drinks, music, games, and prizes…. all of which are made possible through parent contributions, corporate donations, and fundraising. The event, to be held on May 18 – May 19th, 2019 from 11pm-3am, is FREE for all HHS students and their prom dates! With over 400 students in this year’s senior class, our work is cut out for us to bring this event to fruition. But, with your help, we can! Class of 2019 “Tax Deductible” After Prom Donation – Each senior is asked to consider a minimum donation of $20 to help make this year’s After Prom the best to date! 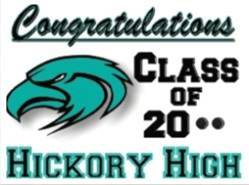 Senior Yard Signs – Customized Teal and Black HHS Class of 2019 with student‘s name! Please see below in Fundraising Events for more details on how to purchase a Senior Class Yard Sign. • Thur, 11/29 (6pm – 9pm) Paint Stuff Studio, 1296 Battlefield Blvd S STE 110, Chesapeake, VA 23322. Sign up in advance using the Paint Stuff Studio Party link. • Completed March 8th Online Order Form and Payment Senior Class Yard Signs, Available for pick up on April 22nd. • Ongoing Online Order Premier Designs with Michelle Gamboni, https://www.premierdesigns.com/gamboni, All proceeds go to After Prom. Catalogs are available by the HHS Security desk, underneath the PTSA bulletin board. 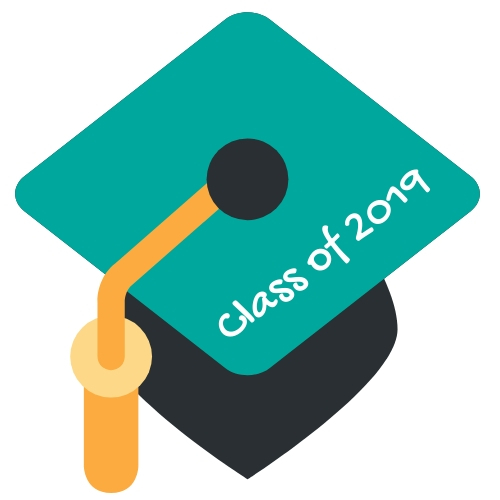 You will receive text reminders of upcoming events, meetings, deadlines for the Senior Class of 2019. There is an opportunity for EVERYONE to help. Please use the form to indicate your participation preference. Thank you for your support in helping our Senior Class of 2019 enjoy a safe night with friends, fun, and lasting memories!